A Card That Rewards Your Interests. Who says that rewards don’t come easy? 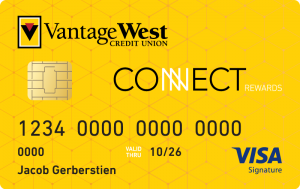 With the Vantage West Connect Rewards Visa Signature you immediately begin racking up rewards points on your purchases while enjoying a special introductory 0% APR for six months, and rates as low as 15.99% APR after six months. You get 1% cash back for each dollar spent on everyday purchases, 2% back on groceries, 3% back on gas and a whopping 5% cash back in a category of your choice1. There’s no application fee, no annual fees, no-fee cash advances and no balance transfer fees. Points can be redeemed at any time2 to use towards cash back, merchandise, travel, and more. Already a Vantage West member? By clicking "Submit" I agree to receive e-mail and telephone communications from Vantage West Credit Union. Visa Signature gives you instant access to dozens of everyday benefits, once-in-a-lifetime experiences, fine wine and food events, and complimentary 24-hour Visa Signature© Concierge. All in addition to the rewards you already earn. Learn More. 1 Capped at $1,500 spent in qualifying purchases quarterly. Cash Back rewards are tracked as points and each $1 in Cash Back rewards earned is equal to 100 points. Points can be redeemed for cash back, merchandise, gift cards, travel, and charitable donations. 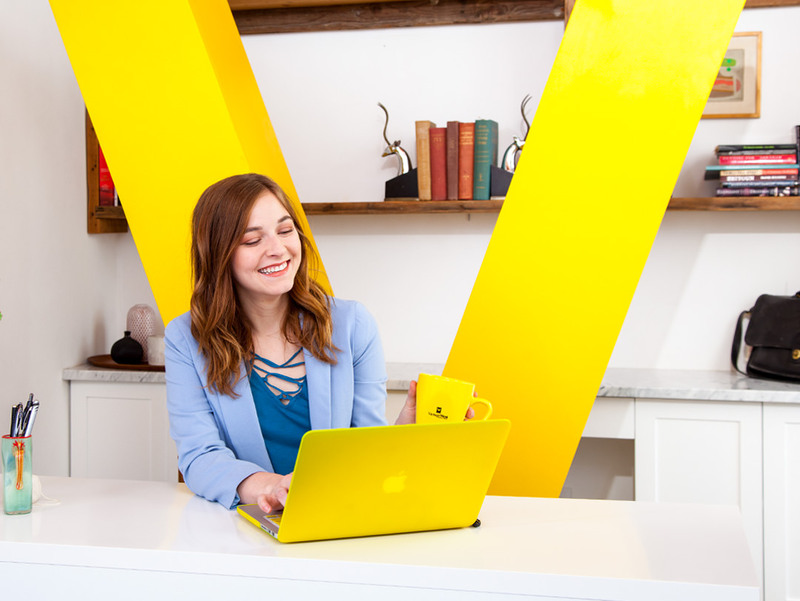 See Vantage West Rewards terms and conditions for details and restrictions of the program. 2 Must have a minimum 2,500 points for cash redemption. 3 Visa card holders with international transactions (such as US-dollar online purchases from a foreign country), or transactions enacted in a foreign country will be charged, by Visa, an international Service Assessment [ISA], which is currently 1.0% for multi-currency transactions and 0.8% for single currency transactions. Vantage West Rewards terms and conditions.